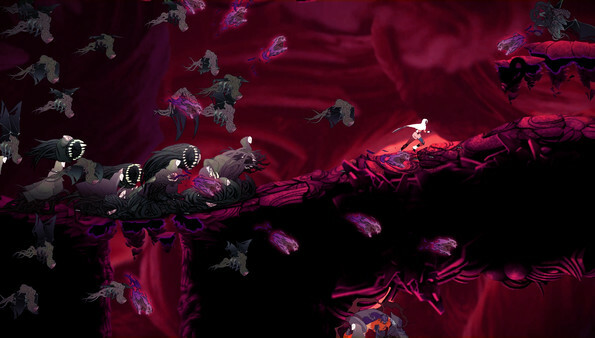 Sundered, the metroidvania action-platform with some fantastic art is going to expand soon and the update will be free. 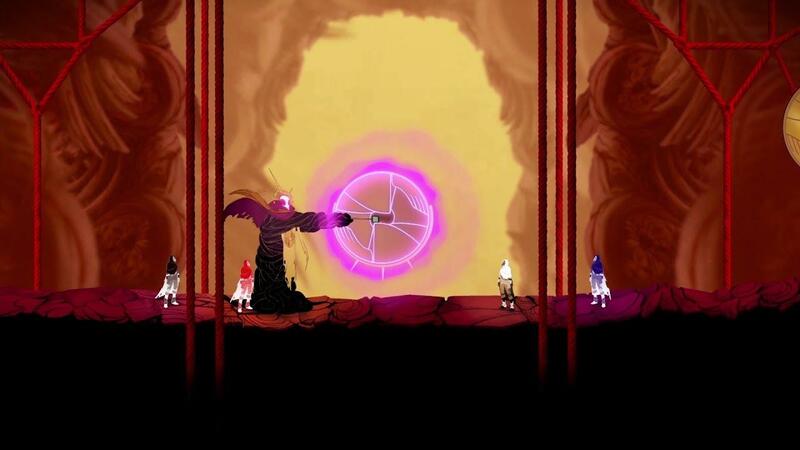 I did enjoy the initial release of Sundered (original thoughts here), despite the repetitive aspect to it. However, they did release a big update to the game earlier this year which added in new combat moves, an expanded skill tree and more that sounds like it would have helped a lot. With their next update, the Eldritch Edition, which is due on December 21st it sounds like it's going to be even more fun. Local co-op: It’s dangerous to go alone, especially through Sundered’s ever-changing caverns. So we’ve added local co-op multiplayer support for up to 4 players! New areas and quest chain: We’ve added several unique new areas throughout the existing map. Complete a quest chain of special challenges in the new areas to unlock rewards and the path to a brand new boss! That's just what they've revealed so far, they're promising more which will be revealed closer to release. Pretty keen to give it another go, especially since I completely missed the last update. I can certainly imagine it being a lot more interesting in co-op and look forward to trying it out. You can grab it from Humble Store, GOG and Steam. Local co-op and in time for Christmas. There's good chance I'll be picking this up now. This looks great but I despise metroidvania games where you have to keep going back and forth to old areas to progress. Is this game really like that or is it another mislabeling? Well, it is almost 3 weeks since this article and I finally bought and played it. I really liked it. I can see that it has game mechanics that might not be everyone's liking, but I think it was very very good. Almost up there with Hollow Knight and Axiom Verge. 1) Yes, there are a lot of mobs - but you can learn to deal with them. Like any good metroidvania, learning pays off. 2) I am not usually a fan of randomized levels, however the key places don't change and the shifting world in between fits the story very well. It didn't bother me at all. 3) While I appreciate that many people are into roguelikes, I can't stand them. Here, when you die here you go back to the hub but don't lose anything - the world shifts but key doors and bosses are the way you left them. It works well. Yes it can be challenging but the combat is good and the difficulty balance works well if you don't wander too far off track. The upgrade tree works well. The art style is first class, the sound design is great, and the story is the best "Lovecraft-style" I have seen in a long time. RafiLinux This looks great but I despise metroidvania games where you have to keep going back and forth to old areas to progress. Is this game really like that or is it another mislabeling? Yeah, in that case you wont like this game! If you buy a metroidvania, you have to like backtracking to some degree.